It’s time to look at the second Fantastic Beasts film. I’m really still not sold on this series. Try as it might, this title just isn’t nearly as fun or interesting as Harry Potter. I can’t think of a single way in which it matches up. The title doesn’t even make any big mistakes like animal violence or being super violent. There isn’t even any fanservice to speak of. The main problem with Fantastic Beasts is just the fact that there currently aren’t any real likable characters. Everyone’s just fairly annoying and so without anyone to root for the film becomes less engaging than it should be. The film starts off with a flashback as Grindlewald escapes confinement along with one of his henchman and begins to amass his army of followers. We cut to the present where Newt refuses to join the Wizarding army and has his VISA denied. He makes contact with Dumbledore who tells the kid that he must do one of two things. He needs to either take down Grindlewald (HA!) or he can find Credence and prevent him from turning to the dark side. Newt agrees to do this, but quickly gets sidetracked by a romance plot involving Jacob and Queenie which takes up a large chunk of the film. Meanwhile Grindlewald has to get Credence to he can destroy Dumbledore. To accomplish this he prepares to unleash some spectacles on the world which will wow the people with low will power to his side. Quickly we’re gonna jump way out of order and talk about the ending. The film had the perfect chance to salvage the whole 2 hour experience with a single line. Grindlewald is explaining to one character what his true name. The final line of the film should have been “I now dub you…VOLDEMORT!! !” and then have the film end with an extremely loud guitar solo followed by some fast paced rock music. The revelation would have shocked everyone to the core because of how little sense it would make but it would have been absolutely amazing. I would have gained so much respect for the film. It would have finally tied into Harry Potter. See, that’s one of the big problems here. This spinoff is like Attack of Titan Before The Fall. It really has almost nothing to do with the real series. Sure, Dumbledore is here and Nagini finally gets to appear, but their roles are pretty small so far and it’s not like they were huge characters in the main series. I want to see Harry or Snape! Too bad the prequel takes place so far in the past right? So, really the prequels need to try and develop their own series so they can be a solid entry in their own right without tying into the present. the problem is that the story’s just not interesting. It’s a shame because at the same time I do appreciate the ambitious nature of the film. It may sound contradictory, but I think the overall plan for the film wasn’t bad, it’s just that the execution was painful. This film is clearly trying to throw in a bunch of plot threads which will all get wrapped up in the future. It can work out really well like in the old Spider-Man comics where at one point you had almost 10 different subplots going on in the background. When handled right it makes each issue a whole lot more exciting or in this case it would help the future films. There would be so many characters running around in the background that it would keep you really hyped. The problem is that this only works if you really enjoy the characters or find the plots engaging which is what the film fails to do. It’s more focused on the plot than the characters and you gotta have both. I do think huge fans of the Harry Potter lore may still be excited about all this, but it really wasn’t doing much for me. The Ministry of Magic is really stuffy and antiquated. There’s no reason to root for them because their rules aren’t very sound. They are determined to keep the magic and human worlds separated to keep the balance so it’s no wonder why people are betraying them. They are trying to rule over everyone and that never goes well. All they do is hold each other back like when they shackled Dumbledore. The cabinet leader admitted that the principal was the only one who stood a chance against Grindlewald and even then he did this. The group makes no sense so I agree with Newt on not joining them. Still, they are the lesser of two evils so lets keep that in mind. Then we have DUMBledore. All right, maybe not all of this is his fault, but we can blame him for quite a lot. That bloodpact he made a long time ago is really causing him trouble here. Even if he can’t attack Grindlewald directly he can still attack his troops. After all, Grindlewald has absolutely had no problems attacking Newt and every other hero here. Seems to me like Dumbledore is hiding when everyone was counting on him the most. He gets a tremendous amount of hype here, but he has yet to do anything of note. All he does is teleport and run around a lot. He also needed help getting the cuffs off. At this point in his career Gandalf had done more to prove himself so Dumbledore better shape up. As for Newt, I still don’t like the guy. He’s constantly acting petty and being a downer in every single situation. He never explains himself and always has a sulking expression on his face. The guy’s too timid to be the lead and his magic skills don’t seem terribly advanced. He seems like a nice enough guy, but someone who should really be a member of the supporting cast and not trying to be Harry’s successor. Tina is the main heroine (Well, debateably. In the first film it was unquestionably her, but her role is reduced here) and she is a lot more interesting. At least she is actually being very pro active in trying to stop the villains even if her progress is quite slow like the others. Then you have Jacob who gets mind controlled in his first scene. Don’t worry, he’s not being used as a hostage or anything, but he might as well be since he was nearly forced into marriage. By the time the spell breaks he tries to recover, but I think he could have been a little stricter with Queenie about not doing that again. He’s just not safe as she can dominate his mind at any point. Meanwhile, Queenie makes no sense here. Why show up at Newt’s place when he would obviously know that a spell was active? She should have gotten married first if she actually wanted to get away with the plan. She also has low will power and makes all of the worst decisions in the film. She definitely had a very different character arc than what I was expecting. It’s handled pretty well, but there’s no way I’ll be a fan of hers after this. Then we have another plot with Credence and Nagini. Credence is one of those characters that everyone is hunting for different reasons. That can go down an interesting path of course as it’s always interesting seeing what side the character will choose. Unfortunately Credence has about as much agency as a pawn in Chess and just goes where the flashy colors are. In this case they belonged to Grindlewald so that’s it for him. He seems like the type of character who will be manipulated with ease. Nagini’s certainly a lot more interesting although I can see this being the start point for her descent into darkness. Then we have the main villain Grindlewald himself. The film sets him up as being the big villain right away as even children aren’t safe from his terrors. He’s certainly got big goals, but is taking his time in going about them. Since he’s apparently the strongest sorcerer out there I’d like to see him make some more direct moves soon. I know that with magic there are a lot of convoluted reasons on why they must wait, but he needs to take the stage more. Just look at the climax. He murdered a bunch of spell casters with ease just with a single spell. He nearly took down all of Paris! If it’s that easy he should just keep blasting away. I get the feeling that he’s going to have some pretty big fights coming up. The effects here definitely look really good. The magic spells are on point and the aerial fight with the lightning bolts coming down was definitely handled really well. More fights like that and the film definitely would have went up. The movie is at its best when we’re getting magical battles like that. Unfortunately they are few and far between. It does show the potential of the series though as we could potentially get more moments like that which would be very cool. It’s definitely jumped up visually from the last film. That’s a good thing since the average scenery in this film isn’t all that fun to look at. It does take place in the 1970s I believe though so that’s likely intentional. The effects are what you’ll be looking forward to. 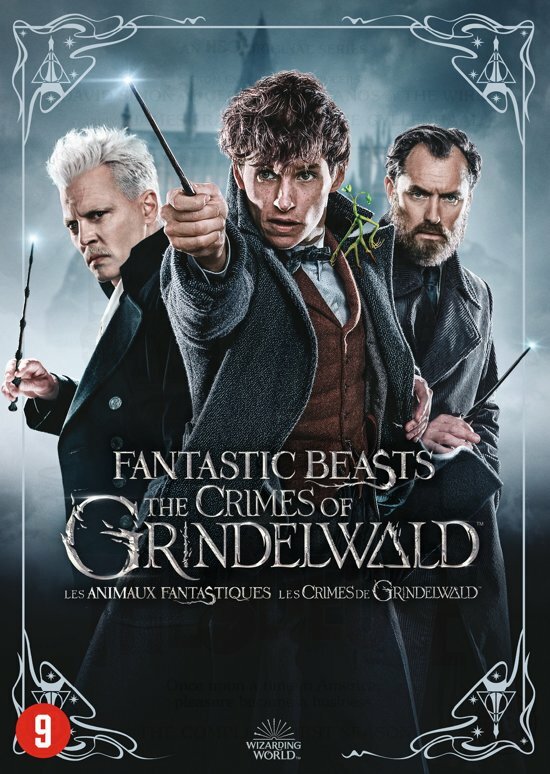 Overall, I would have liked the film to have had some court scenes given that the title is literally referencing Grindelwald’s crimes. Instead he doesn’t do a whole lot after he escapes. The big climax at the end is pretty great and certainly the best part of the film. The characters all have to make a choice and it does set the stage for the third film to be the big payoff moment for a lot of characters. At the same time, this title really dragged its feet the whole time and still hasn’t given us a reason to root for most of the cast. I dare say that most of the Harry Potter characters had more personality after 1 film than these guys have after 2. I’ll stop comparing the two titles now, but Fantastic Beasts really needs to step it up. The review probably sounds pretty negative, but I’d still give this one a positive score. It just feels like empty world building right now and so there’s very low replay value. It still makes for a good initial watch though. I’d recommend checking it out if you like fantasy titles or are a big Harry Potter fan. That’ll let you really get the most enjoyment out of this title. 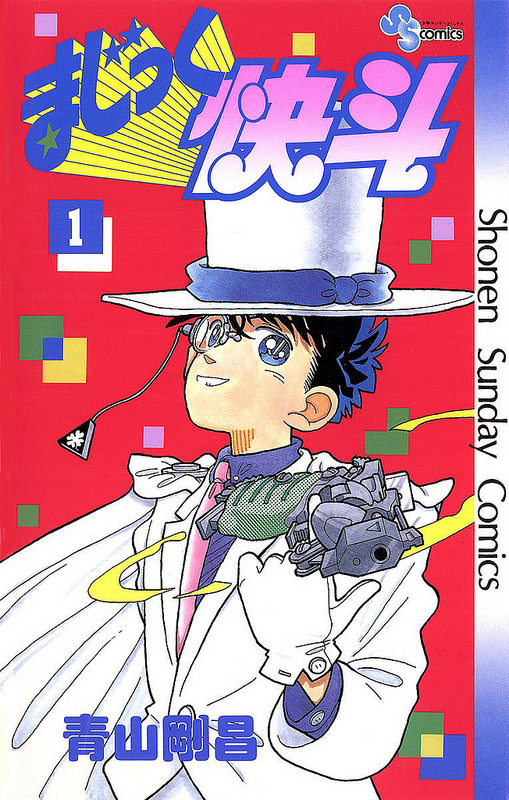 I’ve finally started the Detective Conan spinoff, Magic Kaito. This series follows the adventures of the mysterious Kaito Kid, except he isn’t as mysterious as he seems. I never cared all that much for him, but he’s actually a pretty bad character here. Still, the art is pretty solid and I’m hoping for some Conan appearances. It’s off to a decent start though and the fact that there are people here with actual powers is interesting. I’ll give it a review when the series finishes. 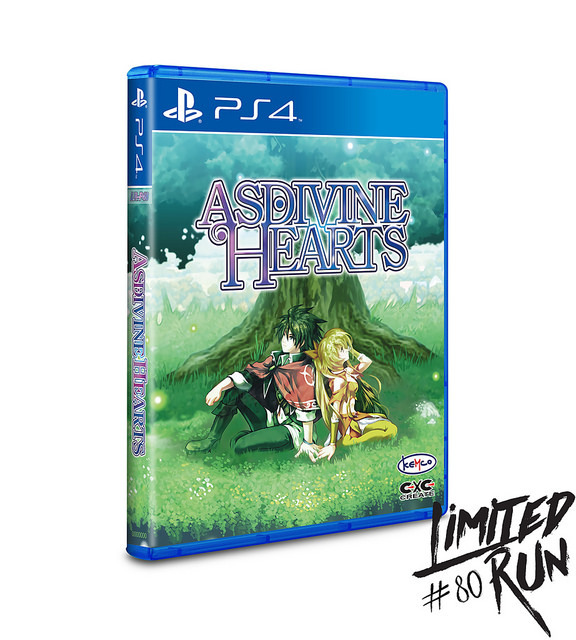 It’s time for another installment from Limited Run games. It’s had a pretty good run so far and this is probably the best game they’ve ported yet. It’s a classic RPG with all of the old elements in tact. It started out as a mobile game which explains why they didn’t mess around with the formula too much. Maybe it’s just me, but I think you only need the core aspects of an RPG to do well. A solid leveling up system, a map, and a convenient way to heal/save. As long as you have that then you’re okay. Modern RPGs sometimes get lost in all of the extra features that take away from this basic concept. This title pulls it off flawlessly. The game starts off with the Light and Dark gods fighting it out. (Okay, a little cliche, but who doesn’t like a classic Good vs Evil theme?) The Light god is defeated and falls to Earth where she possesses a cat. This takes us to our heroes Zack and Stella. They grew up in an orphanage and are now getting ready to head to the outside world so they can earn money and support the other orphans. As they traverse the forest, they notice their cat change. It wasn’t very subtle since the Light goddess loves to talk. They call her Felix since that was the cat’s name. They also don’t believe her story about being all powerful after all, but I don’t blame them since Felix basically has no power for most of the game due to possessing such a small animal. The fate of the world now rests with these two teenagers and their pet cat goddess. Can they really stop the Dark god from destroying the world? There are a lot of twists and turns in the plot, but I’m trying to avoid them to you can see for yourself. In short, the Dark god has his reasons for doing this even though the two gods used to be best friends. I don’t agree with them at all though as even being sympathetic is a stretch. It’s one of those cases where the whole game would have been averted if there had been a little more communication between the characters. I’d also say that he went off the deep end either way so you just can’t defend him. Felix was surprisingly shady as well, but she finally learned the values of friendship. The gameplay is your classic turn based combat. You can use physical skill attacks or magic against foes. I used magic for the first 70% of the game until I found out that skills are actually far more powerful. I recommend focusing on those but always have a magic stone equipped so you can learn new spells. Uriel and Stella’s are especially helpful since they weaken a boss’ defense and attack. It’s a simple gameplay style but you always learn new things. I had been using Stella’s final smash throughout the game since it restores everyone’s HP and MP, as well as increasing all of their stats to the max, but little did I know that Uriel’s is even better. I used it against the Final Boss and he was frozen for almost 20 turns. It was crazy and that Final boss was definitely unforgettable. He had a similar move where he’s paralyze you for the whole fight so it was merely a question of who used the ability first. Be warned that whenever you flee a monster encounter you lose some final smash meter. (9% to be exact) My strategy was to run until I made it to the end of the dungeon. There is always a save point near the end which tells you that a boss is up ahead. Then I’d quickly fight a bunch of monsters to get my full meter back and then fight. The save point heals your HP and MP as well so this way you don’t have to waste any items on the way. You will almost definitely need to do some serious grinding before you finish the game, but it goes by pretty quickly here. The enemies give you a lot of EXP. Also, make sure you break any rocks that you see by the enemies. They have a chance to have 3 AHP points within them. You can save up to 20 of those to buy a 20% up EXP item for a character or save up to 100 points so you can have a full team revive during a boss fight. I went the whole game without getting 100 so I’m glad I just went for the EXP right away, but it depends on how you play. I’m sure there is a way to find more rocks, but you can’t find out much from the game online. It’s just trial and error so these are the paths that worked for me. As you can see, the gameplay was simple, but pretty detailed. I could spend a while just talking about that aspect, but you get the idea. Zack is a solid main character. He’s your classic adventurer who rushes into danger and is always confident in his skills. He’s a nice guy but doesn’t tend to be very formal so all of the characters call him out on this. I’d think that formalities wouldn’t matter much when the planet is at stake, but evidently it is still a priority. He has to make some tough calls at the end, but chooses the right ones. I definitely have no qualms with Zack and he was an engaging protagonist to follow. Stella is the main heroine and she’s pretty nice. Her unfortunate tendency to try whipping the main character when he’s being nice is a little suspect, but she actively tries to control herself as the game goes on. She’s a little more timid than the other main characters which is another part of her character arc. Based on her design in the sequel, she has learned to be more independent so it’ll be cool to see how she is there. She’s a good character even if she’s not a great one. Celine is a high priestess who ends up joining the cast and becoming a main character. The fact that she knows hand to hand combat is certainly helpful. She also objects to Zack being nice to everyone all the time but gradually learns that he doesn’t mean it as an insult. I’d probably rank her last among the main heroines, but they’re all rather close. She just didn’t seem to bring as much to the table as the others and her subplot about lacking confidence didn’t really help matters. Uriel is a mysterious girl who claims to know Zack from the past even though he doesn’t remember her. To pay Zack back for saving her life, she will now help him save the world. Her dark magic is incredibly useful in combat and she is the most loyal of the allies. She was my favorite member of the team and I relied on her Final Smash attack for the final boss. If I’d known it was so good, I would have used it sooner. Felix is an intriguing character since she acts nothing like what you’d expect based on her role in the universe and character design. Instead of being a wise old lady who brings peace, she’s always insulting the humans and picking fights. She talks quite a lot and doesn’t follow any orders even if they’ll save a lot of trouble. It’s all about her pride here. She’s a fun character to have around since this results in a lot of banter. It was unexpected, but certainly in a good way. I already talked about the Dark god. He comes across as very whiny and completely unsympathetic so you’ll just think of him as another obstacle in the road. I preferred his two Legion generals. Finally we also have the Dark Copies. The heroes end up travelling to a Mirror World towards the second half of the game where they meet evil copies of Zack and Stella. They were definitely interesting characters. I don’t like either of them, but they make for really good villains. It always ups the stakes when you find an evil version of yourself. They were also quite powerful and had some of the more challenging boss fights in the game. They were a great addition to the cast. You need human opponents like that once in a while because just having monsters isn’t as personal. Throwing in the humans shows that you can’t trust anyone in the mirror world. There are a few supporting characters like the Queen, Lars, Luna, etc. They are fairly good. They add to the plot and come in handy, but aren’t really main characters. There are 3 different levels of characters here. 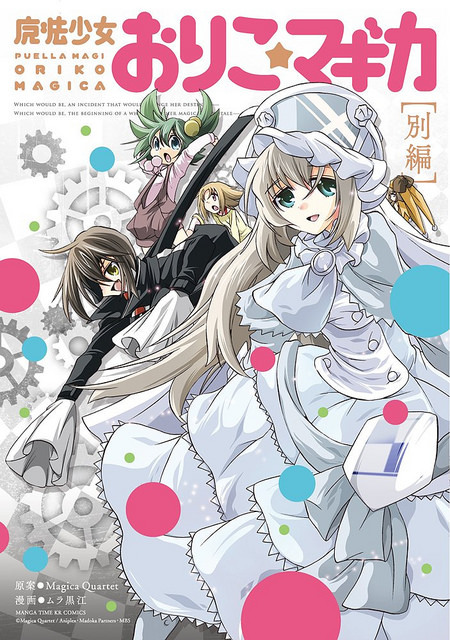 The main characters who appear frequently and go on the missions. The supporting characters, these still have full character portraits like the main ones, but don’t get on the front lines. Finally, the non characters, the ones with names, but no accompanying picture. It was a pretty good way of knowing who was important and who wasn’t right off the bat. The graphics look really clear and smooth. One positive for mobile games in general is that they don’t have the budget to add in the fancy stuff so they make the fields clear so the sprites that they do have look great. Throw in the PS4 resolution and this game really looks modern. There is absolutely nothing dated about the graphics and the character portraits are also high budget as opposed to the interesting Street Fighter V ones. I enjoyed the soundtrack. It’s noticeably limited as there are only 3-4 themes in the game for the most part, but fortunately they are catchy. I really enjoyed the main battle theme which plays for virtually all of the bosses. The game also did throw in a unique theme for the final boss which was definitely appreciated. I have no qualms with this area of the game. There is a good amount of replay value here as you can try to get all of the PS4 trophies. During that process you can try to hit Level 600 with all of the characters and unlock the various endings. I got the normal ending, which I’m pretty satisfied with, but it would have been nice to have gotten the others. I thought I had enough of a trust level to get one of the bonus endings, but apparently not. The main game will last you over 25 hours as well so it’s not like the game even needed bonus content at all. It’s well worth the price. Overall, Asdivine Hearts was a really fun game. The plot starts right away and even the intro which is probably the slowest part as you get the feel for the game was fun. A lot of that is due to the smooth gameplay, but the characters and story deserve a nod here as well. I definitely love RPGs since turn based combat/grinding is fun and you spend so much time in the story that you’re almost guaranteed to get to like the cast. The map in this game is also perfect so you’ll never get lost which is huge. 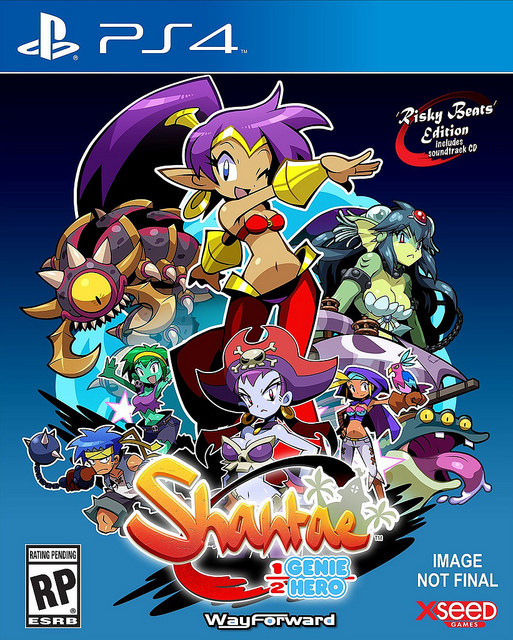 I’m not going to say that this was one of the best RPGs ever, but it actually is pretty high up there. I hope the sequel ends up getting a PS4 release as well. 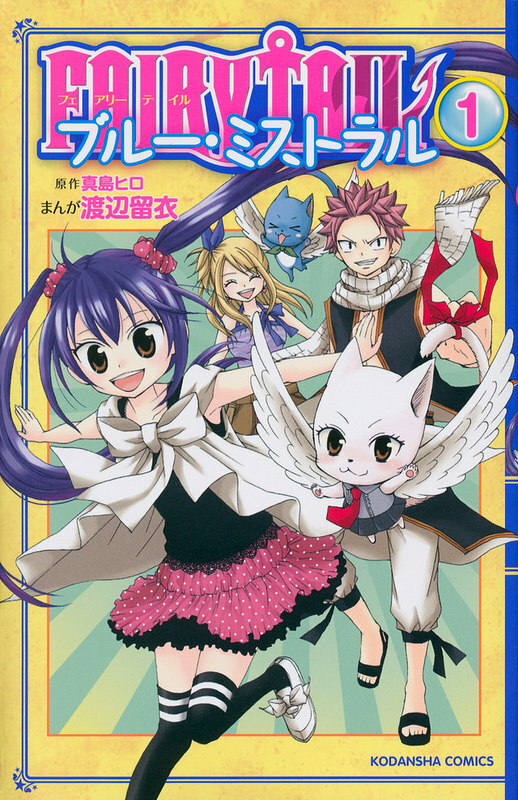 It’s always funny when a series is consistently defeated by its spinoffs, but this happens to Fairy Tail once again. Blue Mistral is actually pretty decent and I can already tell that it’s going to leave the main title behind. Wendy isn’t much of a fighter yet, but ideally she will grow into the role of the main character as the series goes on. 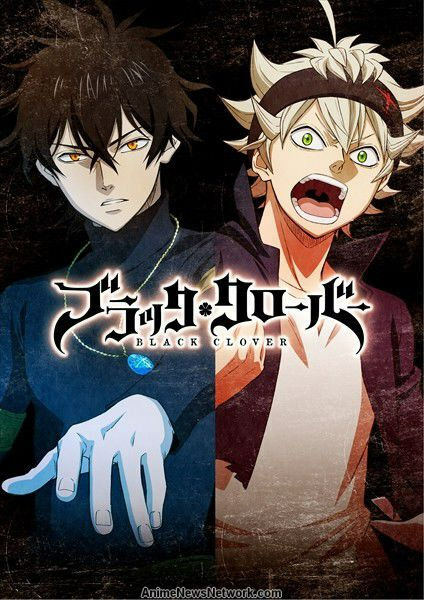 It’s worth checking out and I’ll have a review for the series when I finish it. All right, I got to see the latest big Marvel film! As we inch closer to the long awaited Infinity War, it makes sense to bring in a heavy hitter like Doctor Strange. He will certainly come in handy for the big fights since he is already one of the stronger members on the team. Considering that he has only just begun to learn the mystical arts, he’ll only get stronger from here. This is definitely a solid film and ranks pretty well compared to the other MCU (Marvel Cinematic Universe) films. I’ll have a list of them from best to worst below. All right, lets dig into the plot! Doctor Strange was a very successful surgeon. He may have even been the world’s greatest. Unfortunately, he gets into a car crash and his hands are severely damaged. To bring them back to working condition, he heads to the mountains to learn from The Ancient One, who healed a patient in a similar condition. It turns out that she used magical abilities and now Strange can learn these as well. The catch is that Strange will now find himself in the middle of a war between light and dark. Can he help defend the universe or will Strange return to his normal life? Even before we get to Strange actually becoming adept at using magic and fighting off the villains, the film is pretty fun. I liked Strange quite a lot back in his confident days. You see how he isn’t very heroic as he doesn’t help those who may not make it through the day. Strange was in it for the publicity, but at least he was still helping people. He did it for the wrong reasons, but it could be much worse. I was a little surprised at just how rich he was, but surgeons do make quite a lot of money and if you’re the world’s best..then it makes sense that you’d be rich. I’d call this part the prologue and it’s fairly short. The scenes all go by very quickly and maybe that’s part of why it was fun. It doesn’t drag on, but still lasts long enough for you to get a general feel for how the situation was for Strange and his colleagues. The action scenes after that certainly live up to the hype. Strange and the other magicians all fight using more of a Green Lantern style than Harry Potter. They use magic to create energy weapons to fight with and can also alter the landscape around them during battle. Magic seems to be able to amp up their physical abilities like in Psyren as well since we see Strange jump long distances and land without injury. His super cape also allows him to fly. This is definitely how I can picture some of the Green Lanterns battling when sparring with each other. Strange’s magic is limited only by his imagination so he can come up with a lot of good weapons. Since Strange is a genius, he is also able to learn the spells at a rapid pace. He even becomes adept at time spells, which is very handy in a fight. Sure, it can mess with the time stream, but it’s still worth using since it can help the heroes out when they’re in a pinch. With the abilities he showed here, I’d put Dr. Strange ahead of all the Avengers in a fight except for possibly Vision, Thor, and Hulk. Strange’s one weakness seems to be that he’s rather slow..the curse of all spellcasters. He can fly, which helps to make up for that and he can bring his spells up a lot faster than good ole Harry Potter, but it will still be tough to do in time against a speedster. For the Hulk, the problem is that most of his spells probably wouldn’t do much damage to him at the moment. Considering that Strange still has room to improve while the others do not, the tables could turn very quickly. As it is, I consider him to be pretty close to the others. Ms. Marvel should claim 1st easily if she’s handled accurately though. As I mentioned earlier, Doctor Strange is a great character and the best one in the film. He is certainly charismatic and will remind you of Iron Man. With Iron Man getting mellowed out in his old age, Dr. Strange could become the most charismatic in the MCU. We’ll just have to see if being sorcerer supreme also makes him “wiser” and he loses some of that fiery spirit. Hopefully not! The Ancient One is another one of the big characters here. She’s the mentor figure in the film…and well….we’ll see if you know what that means for her. Regardless, she’s a good character but tends to be a little too cryptic. A few more direct words would have helped clear up some of the major misunderstandings. Perhaps she was just too full of herself or simply thought that she could handle whatever troubles arised. She was fairly tough and was shown to be a more capable fighter than the others. At this point, she is probably still a little stronger than Strange as well. It’s just always going to be tough when you’re outnumbered. I can’t say that I liked Mordo, but granted, I knew where things were going thanks to the comic. I didn’t expect the road to be traveled so quickly, but here we are. His magic boots are definitely a handy tool to have. I’ll take the cloak personally since it gives auto defense as well, but the boots help Mordo be an aerial fighter. He doesn’t get a whole lot of action here so that’ll probably be more in the sequel. It’s hard to take him seriously as a threat, but a good power up can go a long way. Christine is the main heroine of the film. As always, I thought that the romance was rather weak and unnecessary here. She wasn’t a bad character though and while she didn’t take the supernatural aspects particularly well, few characters do. Usually, a character only takes it well if it’s a comic relief moment and that wasn’t going to happen here. Christine does give us one of the jump scares in the film so that was neat. I’m hoping that she gets some powers for the sequel since that would help her out quite a bit. Kaecilius is the main villain and he won’t be the next Loki. He’s essentially Malekith 2.0 or any other average baddy. He wants to destroy the world. That’s basically his only goal. I think one of the reasons why he doesn’t work so well is that this guy has been a disciple of the magical arts for ages. He’s one of the strongest warriors and yet….Doctor Strange is able to give him a good fight and overpower the guy in his very first skirmish. Despite everything that happens afterwards, it sort of destroys the hype around the guy. He’s not a bad villain though and I like him more than Mordo, but there just isn’t much to him. Now, Dormammu is a solid villain. I didn’t really like the design that he got in this film, but the personality is still intact. When Strange makes his move, Dormammu does his best to keep doing what he does best. His attacks are definitely cool looking and his power is certainly treated with a lot of respect. I don’t see him getting a large role anytime soon as a result, but it was certainly nice to see him. There are some other nice tributes here like the Staff of the Living Tribunal, which pops up. That guy is an interesting figure in the comics as he is supposed to be one of the most powerful beings in the multiverse. I always took that with a grain of salt and believe that the staff proves this. It wasn’t able to break a simple conjured staff. I do want it to appear more in the sequels though as it leads to a lot of questions. Is the Living Tribunal dead? I wouldn’t be surprised, but seeing him and the other big Marvel abstracts on the big screen would be pretty awesome. It almost goes without saying, but the effects are really good. The scene where Strange is launched into the magic world and the colors start going crazy is certainly the best example of this. I definitely enjoy seeing visuals like that and there is a lot to take in. All of the fight scenes are visually a blast as well. I am confident that the Dr. Strange films will be able to keep this up and it’ll be cool to see it transfer over to Strange’s other films as well. He’ll certainly be returning sooner than later. I can’t really say that the soundtrack was all that memorable though. I forgot most of the tunes right away, but they fit the scenes well enough. There are two after credit scenes in this film so make sure that you stick around for them. They are the best scenes that we have gotten in quite a while and the first one in particular is a lot of fun. It definitely has a lot of promise and while it wasn’t the Spider-Man, Thor, Dr. Strange, and Ms. Marvel teaming up against Thanos cliffhanger that you may have been expecting, we can be confident that this will be happening soon. The second scene is a little more grim and you’ll definitely feel bad for person X because of what person Y does to him, but it also helps lead into a film and tries to legitimize a threat. Both are important and aren’t filler, which is huge since that has been my problem with some of the other scenes from past films. Time for that MCU list! There aren’t as many films as in the Godzilla franchise so I won’t be using as many tiers since it would just spread them out needlessly. There will only be three tiers instead. The films that are easily a cut above the rest, the films which are all more or less at around the same level, and the ones that are easily weaker. Lets go! You should account for recency bias here as the theater effect typically makes a film stand out even more than usual for a few months. That being said, I do think Doctor Strange is a solid enough film to keep this spot for a while and if anything it just speaks to how Marvel has been able to keep up the quality and even improve upon it. There are certainly a lot of other things to talk about here, but I’m trying to keep this movie completely spoiler free so I’ll have to let them go for now. One thing that I will say is that Strange has a good point about how warnings for spells should be written before the spells. One of the “crimes” that he commits isn’t even that bad if you ask me. It’s always a moral dilemma about how you should wield this fundamental force of nature and it’s too big to tackle in a paragraph, but if you can use it, then you probably should. I think it may play a big role in Infinity War if the Avengers aren’t quite ready for Thanos in the initial confrontation. You can’t even call it a Deux Ex Machina since it is already established and isn’t as easy as snapping your fingers. It would likely only be able to be used once so they wouldn’t have infinite shots. That’s enough hints on that though. Oh yeah, I should probably just put this out there. Doctor Strange could easily beat Harry Potter and Voldemort in a fight. It’s not even close. In his very first fight with absolutely no prep time, Doctor Strange was able to take on 3 skilled opponents at once. (Probably the best fight scene in the film) Harry wouldn’t have been able to take any of them on. Being able to use spells while also fighting is a skill that will let Strange beat most other opponents. That’s another reason why I liked Strange. He didn’t want to join in the war, but when the fight came to him, he made sure to finish the job and take out his opponents. His only real misstep was snapping at Christine and just watching as the Ancient One was triple teamed. Seriously, he probably should have stepped in or tried to do anything. That would have been very helpful. I’m sure that he won’t panic like that again though and he’s still a rookie (Relatively. Astral Projections eliminate the need for sleep so he’s gotten to improve at triple speeds or more) As far as protagonists for Marvel go, Doctor Strange is probably the most likable one, with Tony Stark being second and maybe Cap being third. Cap’s gotten more likable over the last few films. 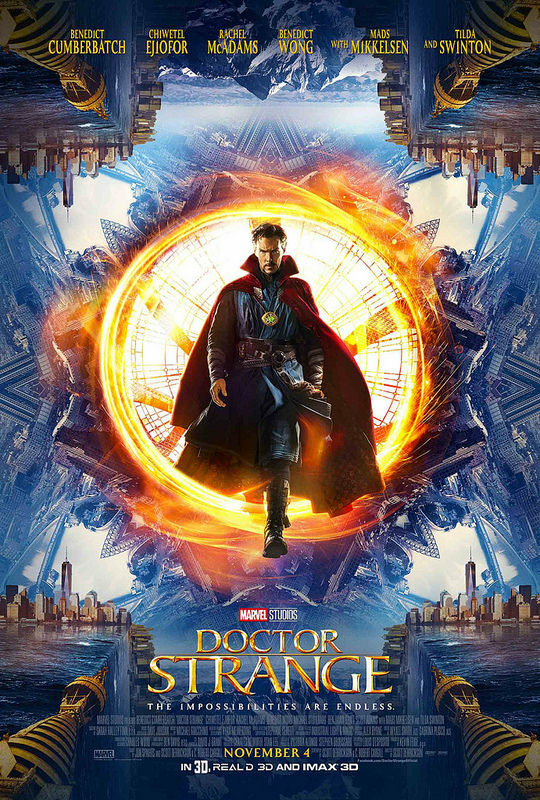 Overall, Doctor Strange is another solid installment to the MCU. I’d consider it to be one of the best Marvel films that they’ve put out. It works really well as a stand alone, which is rare for a film this late in the game. It’ll make Strange’s appearances in other films all the more special as he’ll already have had his character development and it will make the film feel more like a crossover. This film balances the more comical aspects with the serious ones pretty well and I’d say that it did a much better job of it here than Age of Ultron. The latter went a little too far with the comedy at some points. The moving buildings angle made for some really fun fights and this is what Thor: The Dark World should have done with Malekith. The fights in Doctor Strange were gimmicky, but still had a lot of action and you couldn’t say that they weren’t fighting. On the contrary, someone was always on the offensive in the fights and it just meant that they had to concentrate on multiple things at once. Magic is such a great ability to have. I certainly recommend checking this film out and then we’ll see if Guardians of the Galaxy 2 and Spider-Man can hold their own against this film. It’s certainly going to be tricky, They’re dooooooomed but if there’s anything we’ve learned about comic book films, it’s that you can’t count them out. After all, Civil War actually made Black Panther a likable character and was able to get me on Team Iron Man for once. Both of those were things that I didn’t think were possible. Stats time…not that there is much here though. After reviewing the Oriko manga earlier, it’s time to look at a one volume AU for it. This volume works as a What If prequel where we follow the two main villains from the last title. While the art has greatly improved, this manga decides to follow Yuma’s plot more, which dooms it in the end. Otherwise, all of the other areas of the core manga have improved so this is a good sign for future Madoka titles. Just keep Yuma’s origin out and we’ll have ourselves a winner! The manga starts with Kirika having no friends and eventually getting Magical Girl powers. She vents out her frustrations by beating Witches until she finally finds a friend that she used to have. She saved the girl and reminds her to always have hope as she physically defeats the friend’s mental demons and heads back home. It’s a nice little origin story for Kirika and she is already much more likable than how she was in the previous volumes. The fact that her boss, Oriko, is a good guy in this series changes things dramatically since Kirika does whatever the other girl says without question. Of course, a true friend should always be willing to call someone else out so Kirika’s definitely got to work on that. The real plot starts after this. Oriko happens to run into a little kid named Yuma, who is being hit with child abuse. Unfortunately, Yuma doesn’t want to leave the situation as she believes that being a good kid will take it all away. Oriko isn’t cool enough to break in and actually help Yuma, but at least she does give her some words of advice about the whole thing. That’s good….but helping would have been better. Especially when you consider the fact that she got a vision that Yuma was going to die. I didn’t mention it in this review yet, but Oriko’s magical ability is that she can see into the future. Unfortunately, she can’t control this ability so it happens completely at random. Oriko doesn’t have a lot of time to rethink her moves either since a magical girl hunter in white has shown up. Her name is Sasa and Oriko is naturally on her hit list along with Kirika. The irony of all this….Oriko will have to fight hard in order to defeat this villain since Sasa has the ability to control other Witches. Still, Kirika and Oriko are fairly powerful so they should be able to handle this challenge with no problems! So, Oriko’s a decent main character. As I mentioned earlier, she should have helped Yuma out more. Besides that, Oriko doesn’t really do anything wrong. She decides that instead of murdering every other magical girl like in the main manga, she’ll just go and fight the final Witch as best she can. We can assume that she died in this battle since even Homura couldn’t win in the TV show, but who knows…maybe she can pull it off. Either way, it’s much better than just trying to destroy someone. Hopefully the irony of Sasa trying to assasinate her and Kirika really hit home. It’s amazing how different a character can be in a what if though. The single difference of meeting Yuma before making her plan is hinted to have been the deciding point. (At least according to the volume) It’s hard to imagine Oriko’s personality changing so drastically, but it’s definitely a good thing since she was a very unsympathetic villain in the first series who was pretty bad. Kirika’s also much better. She’ll still follow every order and while she talks about friendship, it comes across as hollow due to this. Naturally, Kirika looks a little weaker now that she’s one of the protagonists, but that’s a classic manga/anime trope so it’s to be expected. When she’s not around Oriko, Kirika is typically a lot more independent and heroic and that’s why she looked so good in her origin story. I don’t think the dynamic of Oriko and Kirika would make for great banter so I’d hope that more characters would be introduced in a long running series. Especially since the manga keeps trying to pair these two up and has a lot of teasing between them. Focusing on the action is much better. Especially since we can finally see the action scenes this time. The art really has improved and it is leagues ahead of the first two volumes in the Oriko series. Those were almost unreadable at times while this one looks more like your standard action manga. It’s still not incredible, but it certainly rises up to an average level and is clear enough where you can easily get what is happening on every page. I was pleasantly surprised to see this. As for the main villain, Sasa was okay I suppose. She fits the bill as the villain and her army of witches is also fairly impressive. She’s certainly very greedy since she wants all of the Grief seeds for herself, but this strategy definitely seems risky. Why go out of your way to attack other Magical Girls when there are already so many seeds to grab? Well, I guess she needed some kind of motivation. Her design was a little on the generic side though. Finally, Yuma’s a good character. It’s too bad that she had such a tragic past though. The topic of child abuse is a little too dark for this title and especially since she actually died in one timeline. It shows that this threat was quite serious and it took Yuma too long to get out of there. It was great to see the grand parents show up and take her away. I would have liked to have seen a prison announcement for good measure as well, but this was a great start. Overall, While this volume’s art was significantly better than the main series and Oriko/Kirika were greatly improved as characters, it was not able to beat the main title. I really missed having the main characters of the TV show around since they really held up the first manga. The fights were solid and since this was a single volume, the pacing was very quick as well. It’s an easy 7 if not for Yuma. If you don’t mind a dark plot like that, then I believe you’ll be able to enjoy this manga a lot more than the other one. If it is an issue, then I recommend checking out the two volume Oriko series instead. The art may be bad, but at least you’ll get to see Homura, Kyoko, and Mami with solid roles. They look really good and have the best scenes in the series. With this volume now complete as well, I look forward to seeing how the next Madoka manga titles fare. I’m still waiting for a definitive one!